It's not often an advocacy group such as ours reaches a milestone of helping public retirees for 50 years! We intend to provide you with a special program documenting our half-century of achievements for our members. In addition to our special celebration we will have the Commonwealth's Attorney General Maura Healey as our guest speaker. 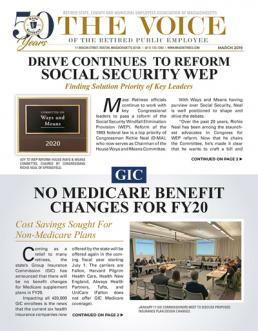 We will also have the latest pension and insurance news as well as the most recent status on all legislation of concern to you as a public retiree or survivor. Your Association's officers and staff will also be available to address any questions or concerns you may have. Refreshments will be served and $$ CASH $$ drawings, as well as tickets to the Red Hot Red Sox games for our attendance prizes. Members are also welcome to bring a spouse or other guest. PLEASE NOTE THE START TIME - 11AM. Hope to see you on the 7th, to celebrate our 50th!